Who portrays Walter White in the scene where he and Gretchen establish the composition of the human body? In Breaking Bad, season 1, in relation to the dissolution of Emilio and Krazy-8's corpses, Walter and Gretchen are shown enumerating the various chemicals composing the human body. Supposedly it takes place a while back, and they appear younger, especially Walt. I had a strange feeling about Walt's facial expression and suspected it might not be Bryan Cranston. He is always shown in partial darkness, which could be to conceal either that Walt is portrayed by a different actor or that he is of course older than he is meant to appear. There is no one else credited and I don't see any reason to think it was not Bryan Cranston. 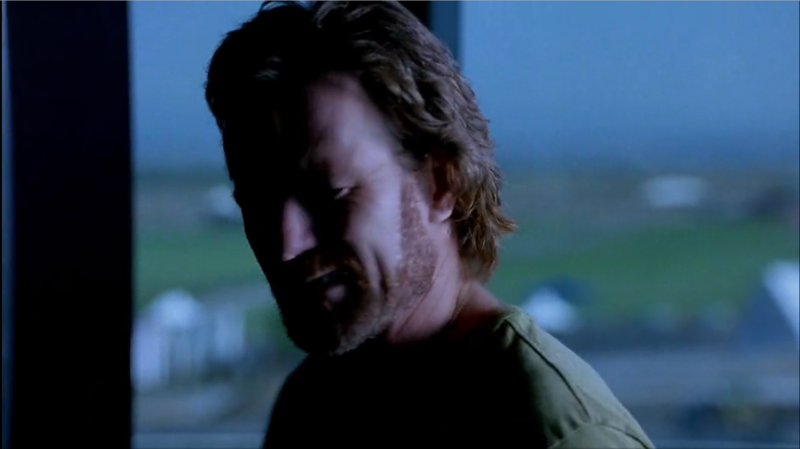 There is some obscurity due to the light coming in the window in the scene, but in my opinion it still looks very much like Bryan Cranston with some makeup to make him look younger. Note also that the actress portraying Gretchen is definitely the same actress that plays her older self. Where did this guy's body go? Why didn't Walter White consume his own product? Who knew that Walter White was the figure known as Heisenberg? Why did Jesse Pinkman leave Walter White? Why did Walter White refuse to help in S02E12? Why is Walter White such an effective negotiator?